2003 John Deere 1293 Corn Header in overall good condition. 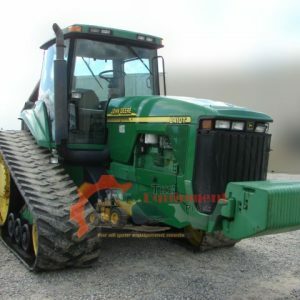 2000 John Deere 8410T Crawler Tractor with 10981 hours on the meter. Has a John Deere Powertech Engine. Undercarriage at approximately 60%. Pins & Bushings have not been turned. Runs and operates well.